In this all-levels class, teens and adults train together in the basic Taekwondo techniques of punches, kicks, stances, sparring and self-defense. Students learn choreographed sequences of Taekwondo techniques as they train toward their next belt level. In this mixed martial-arts class, students learn various grappling techniques including take-downs, submissions and escapes. These drill-format classes help students develop excellent focus, timing, technique and stamina. to stay safe in our urban environment. Olympic-style fighting techniques are the focus of this Taekwondo class, which prepares students to compete in local and national tournaments. Kids get a chance to hone basic physical skills, be a part of a dynamic group and learn discipline and respect in a fun, safe setting. Our Pee Pod room offers a secure environment before children are ready for classes on the “Big Mat”. Children further develop their gross and fine motor skills in classes that combine discipline with compassion and fun. Along with training in the five tenets of Taekwondo, kids learn to stay focused, persevere and never give up. Our starter program trains children in the basics of Taekwondo from techniques and forms to sparring. Students not only develop physical strength, agility and mental focus, but they also learn self-confidence, respect and discipline. Advanced children’s classes focus on preparing students for their Black Belt test. 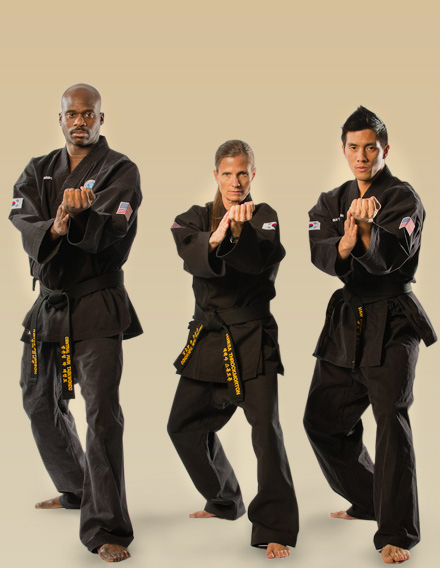 From basic techniques to poomsae, sparring, self-defense and fitness, the foundation of being a Taekwondo practitioner is taught. Children of all ages learn basic and advanced self-defense techniques to combat "bullies" and to protect themselves from our urban environment. Students are taught to use their voice as a weapon and to strike vital areas of the body to escape to safety. Select students are offered a rare opportunity to learn specialized Olympic-style sparring strategies and advanced fighting techniques with Olympic Coach Master Vanthong Samlane. Inspired by traditional Taekwondo hand and foot techniques, TKD Strike takes fitness to a whole new level of training. 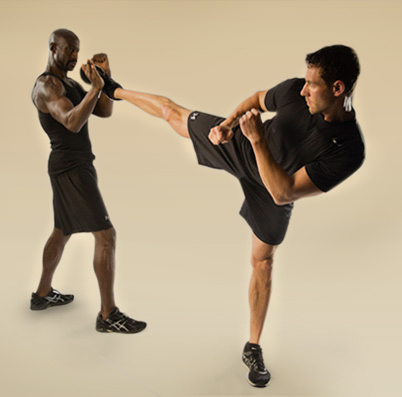 The Taekwondo signature corkscrew punch, push kick and turning kick are the fundamental movements for this high-intensity, cardio-packed, skill-building class. Build confidence, increase hand and foot speed and relieve stress in this drill based fitness class. Feel empowered as our heavy bag workout puts your striking skills to the test. This cardio intensive workout combines Taekwondo punch and kicks combinations to create a whole-body workout like no other. Intense endurance training meets the Taekwondo tenets of Perseverance and Indomitable Spirit in this all out, circuit-style workout. Go to the next level as you sweat through a training program designed to burn fat, increase cardio endurance, improve flexibility and build mental fortitude. This high energy class is based on Muay Thai fighting techniques using punches, elbows, knees, and kicks. Learn skills and punch/kick combinations that burn fat, increase strength, improve eye-hand coordination and help gain confidence and mental fortitude. Take your Taekwondo or fitness skills to the next level with one-on-one training sessions tailored to your individual needs and goals. Our certified instructors will help you boost overall strength and enhance your training regimen. Private lessons typically run one hour and members can arrange a time and day that fits any schedule. Contact us to learn more about private lessons.